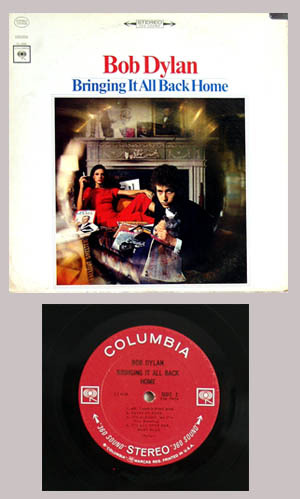 Original 1965 Columbia 360 Stereo LP "Bringing it All Back Home' by Bob Dylan. Jacket is very clean with no splits or scuffs. Disk has scuffs and needle marks from use but plays fine.